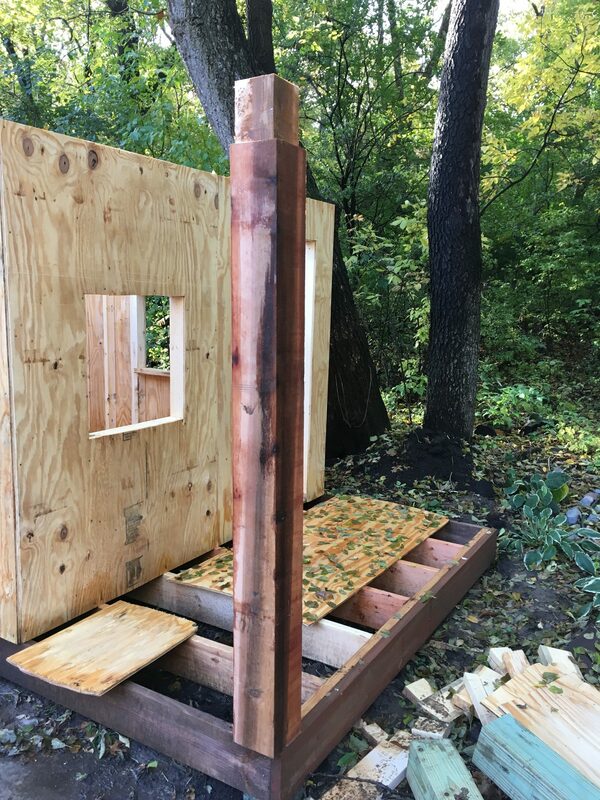 The goal was to build something unique and special using great materials. 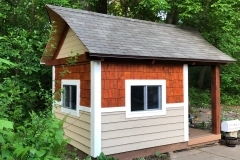 The most noticeable feature of the playhouse is the curved rafters and the curved roof ends. 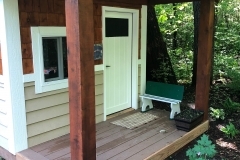 Notice the carsiding custom door made smaller to fit children. 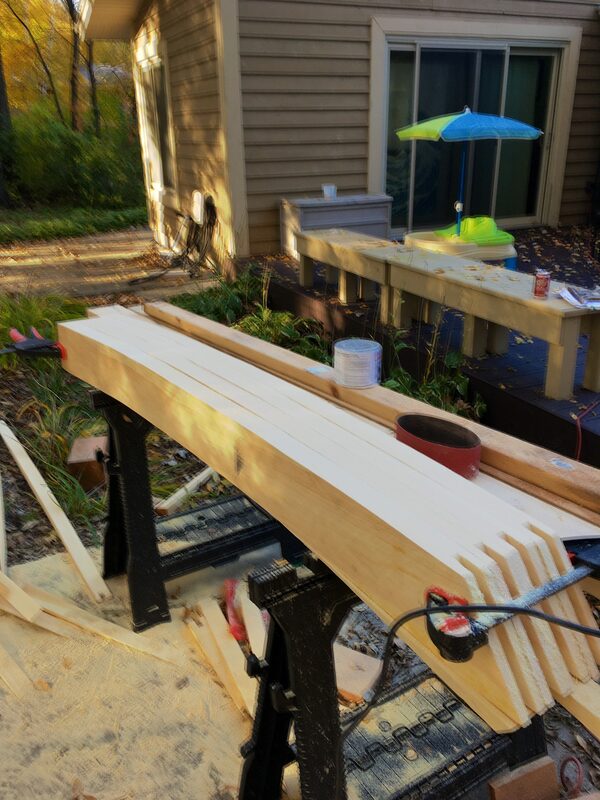 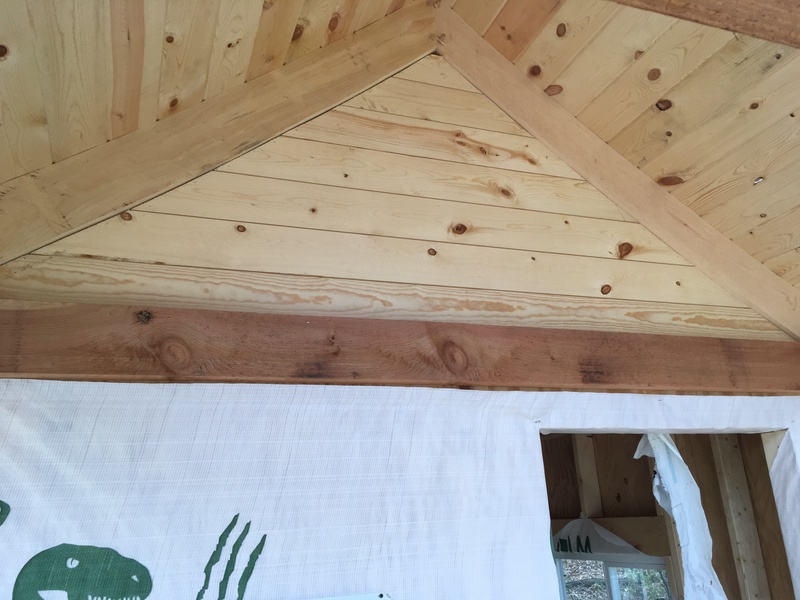 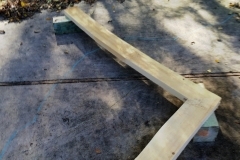 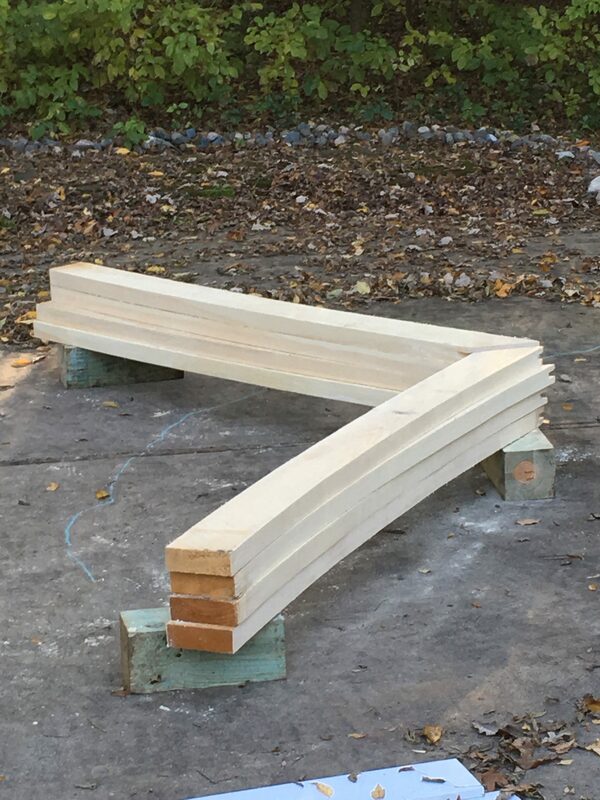 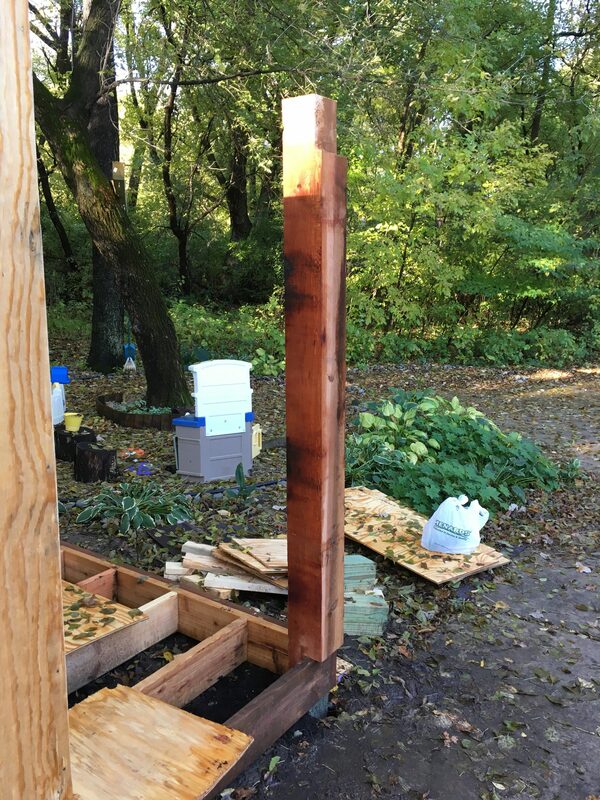 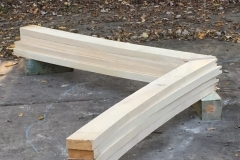 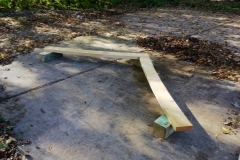 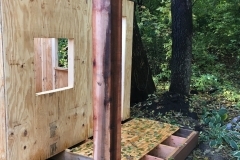 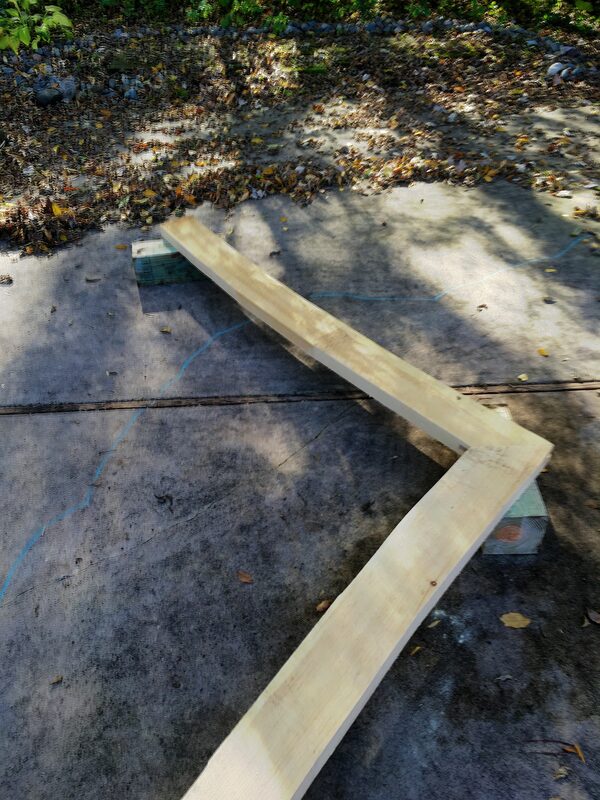 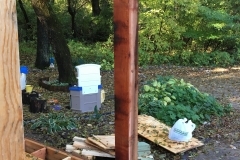 The rafters are cut from a full 8″ x 2″ pine with the curved cut on both the bottom and top. 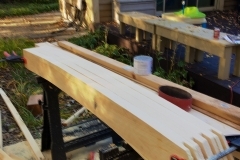 They are joined at the peak with a walnut spline and 1″ oak pegs. 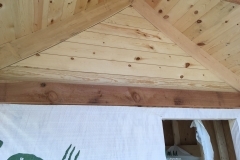 The roof sheeting is tongue and groove pine carsiding to accommodate the curvature and provide a warm finished looking inside. 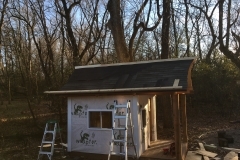 The roof peaks are extended by cutting a sweeping curve along the drip-edge creating and unique stylish look. 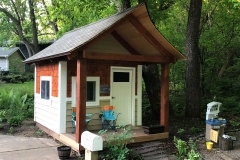 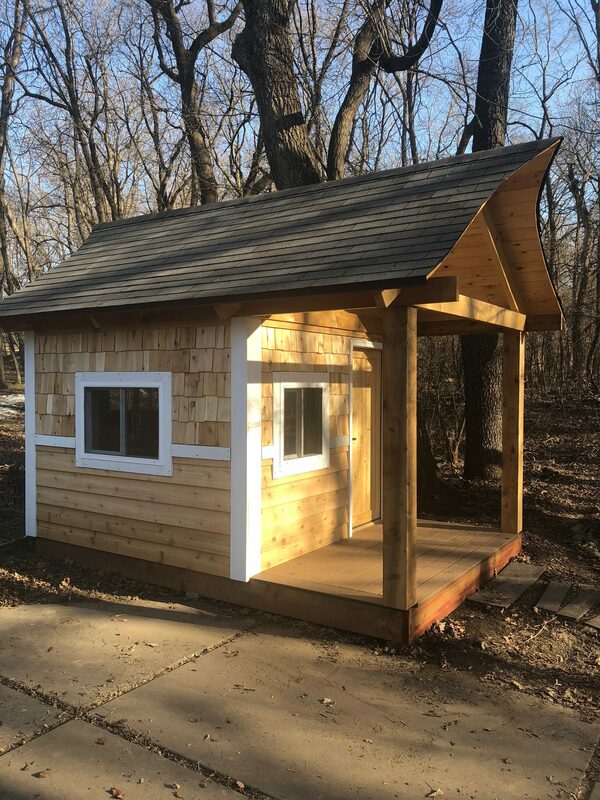 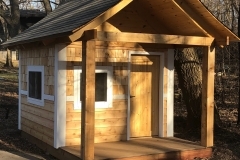 The playhouse is 8′ x 8′ inside with a 4′ x 8′ covered porch. 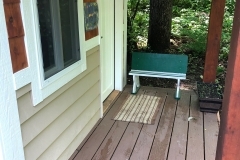 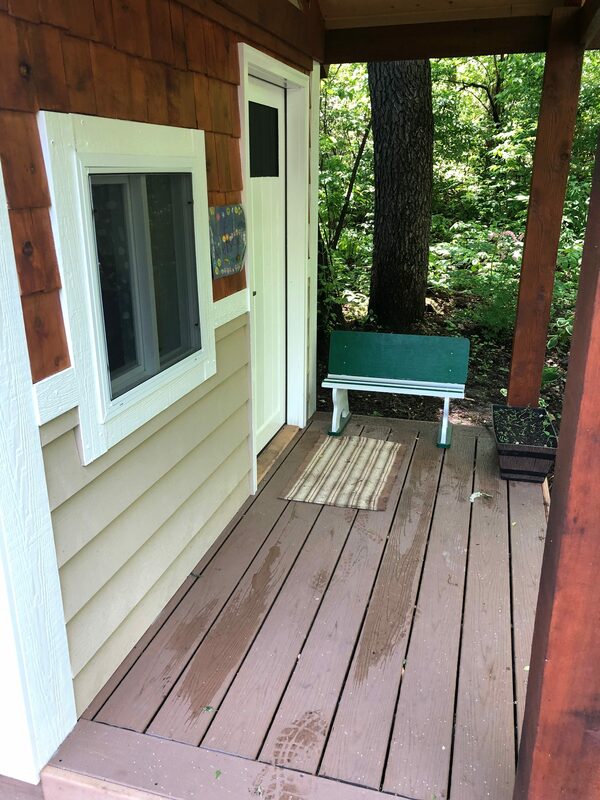 The porch decking is Trex plastic decking. 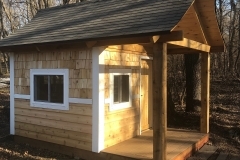 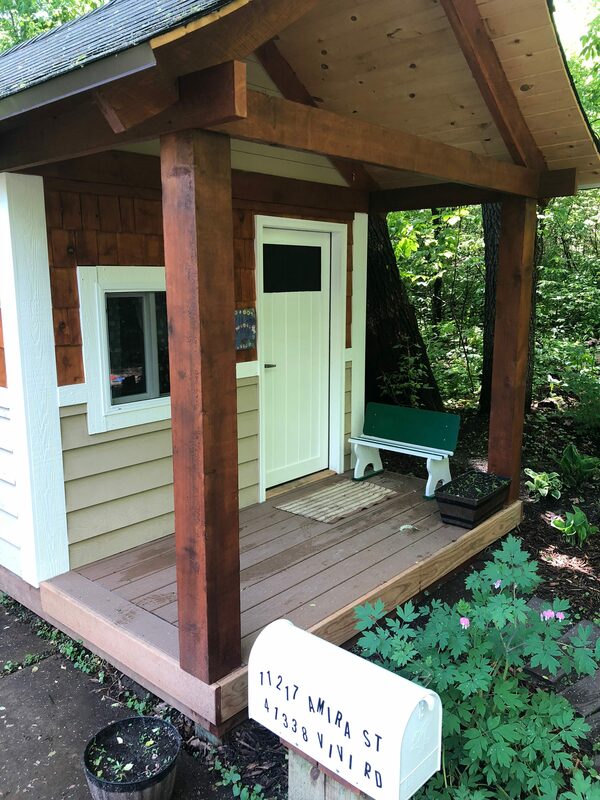 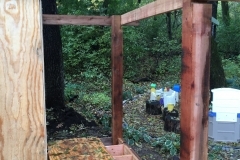 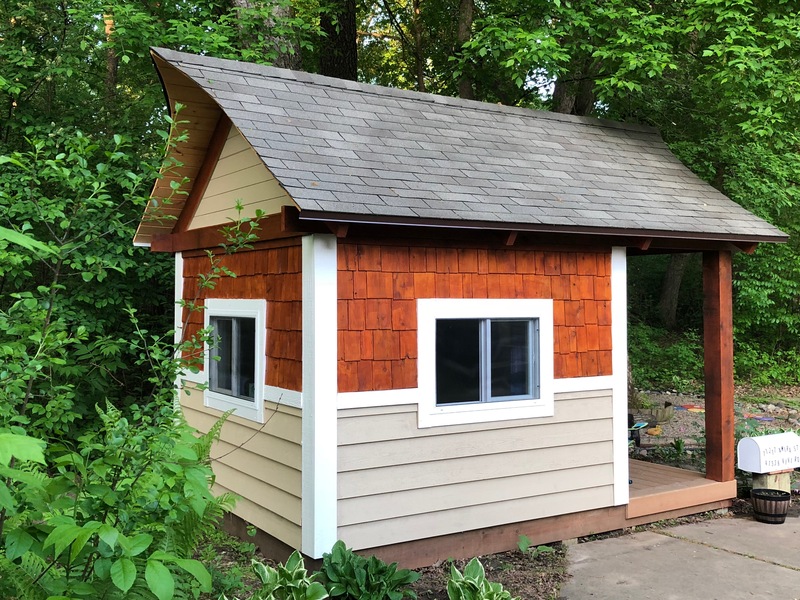 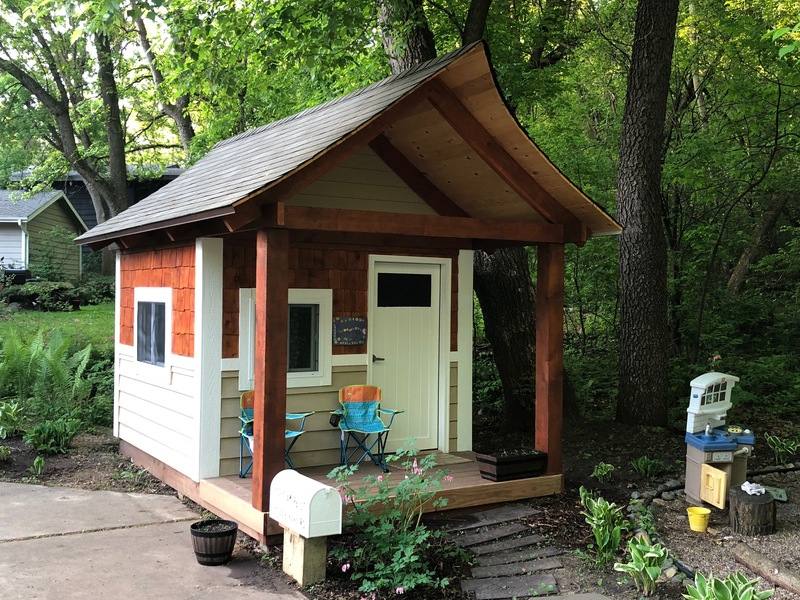 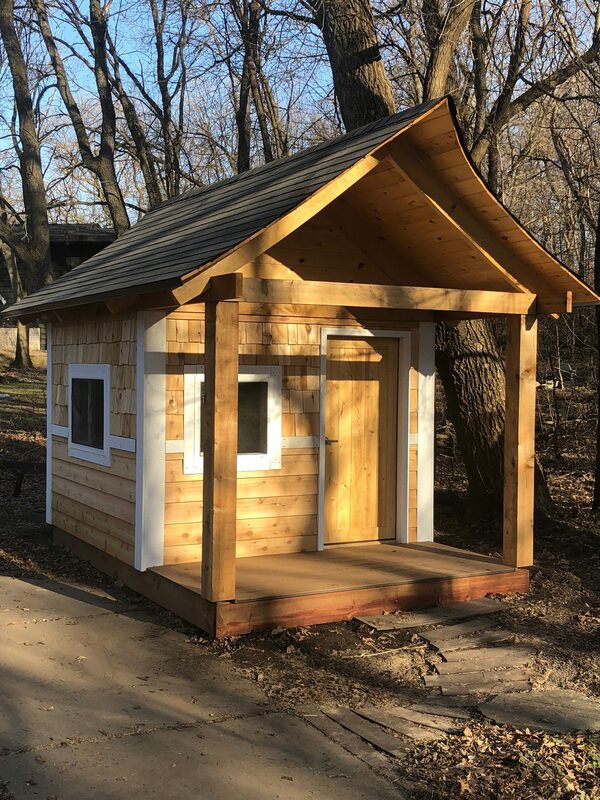 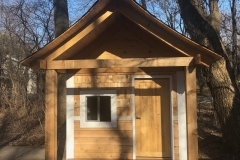 The playhouse trim is rough cedar with beautiful rough cedar beams extending along the top of the sidewalls to the 8″ x 8″ cedar corner posts to support the porch roof. 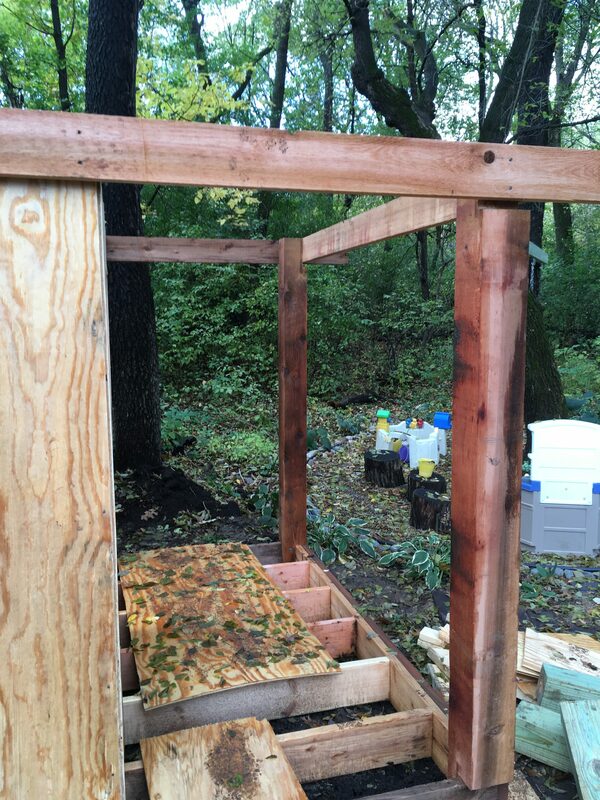 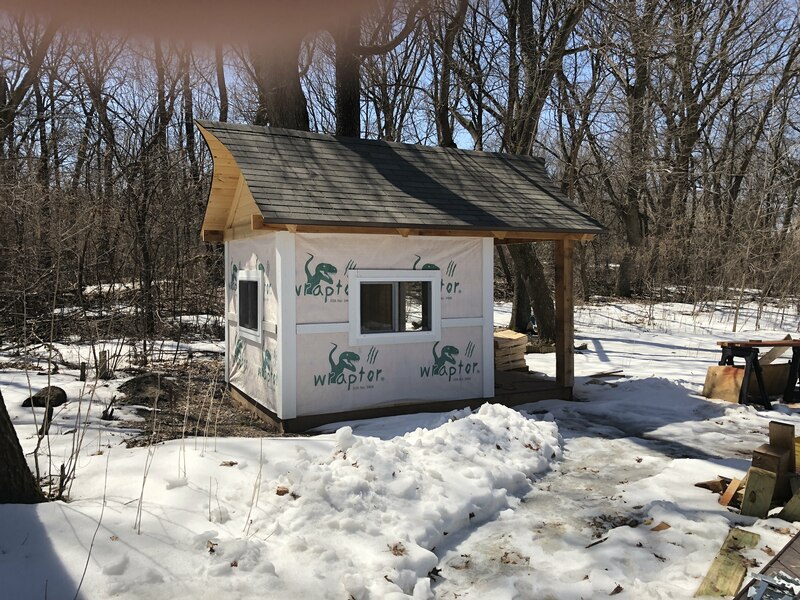 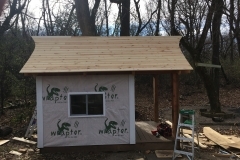 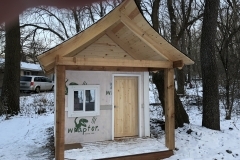 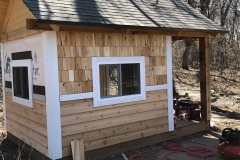 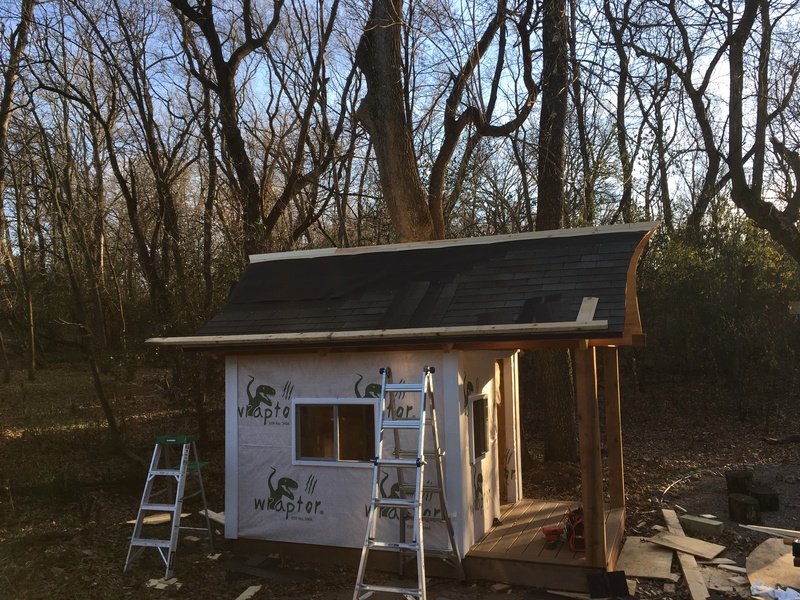 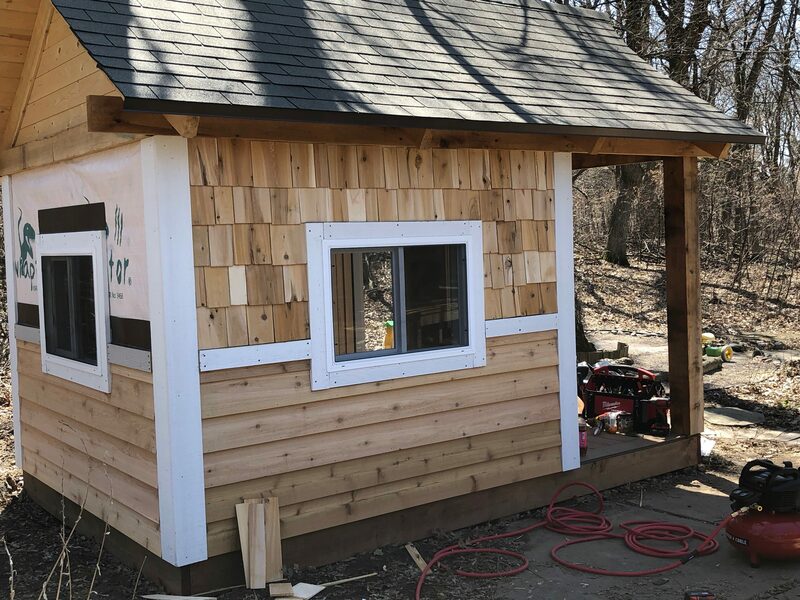 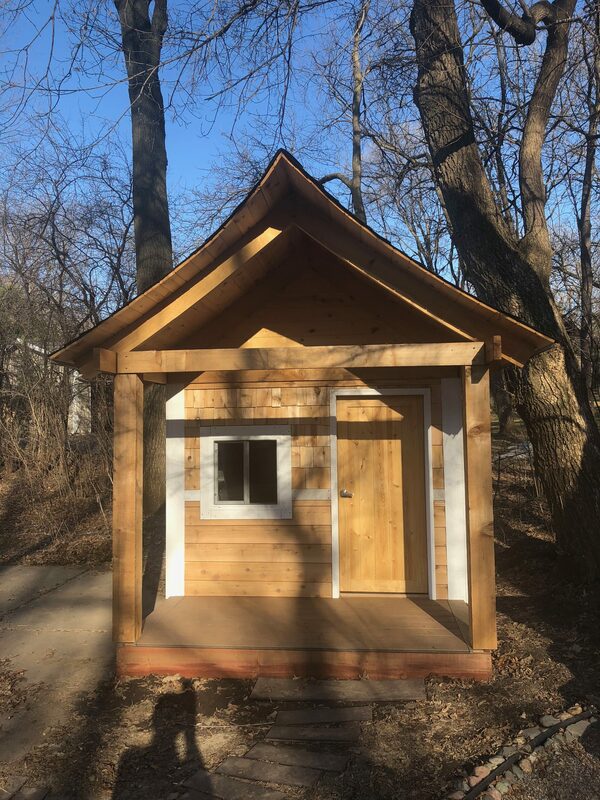 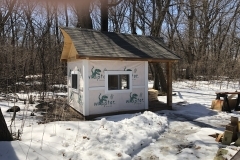 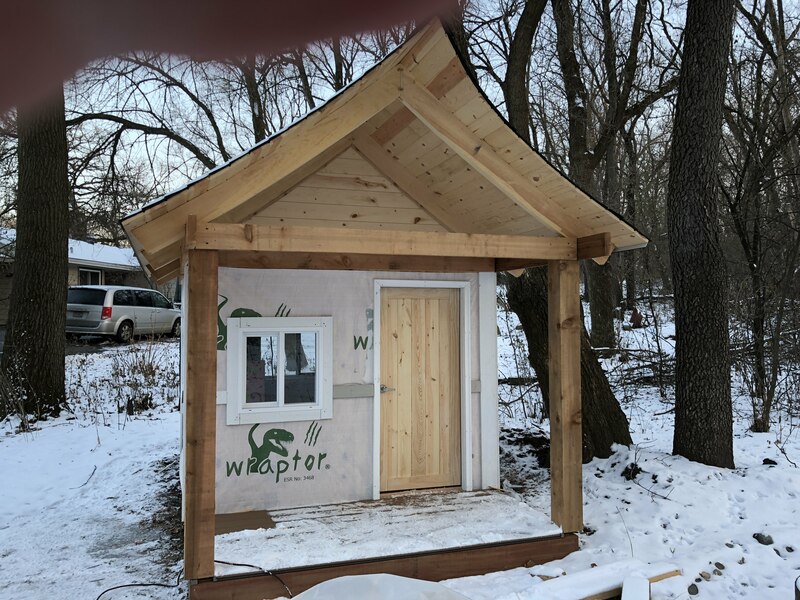 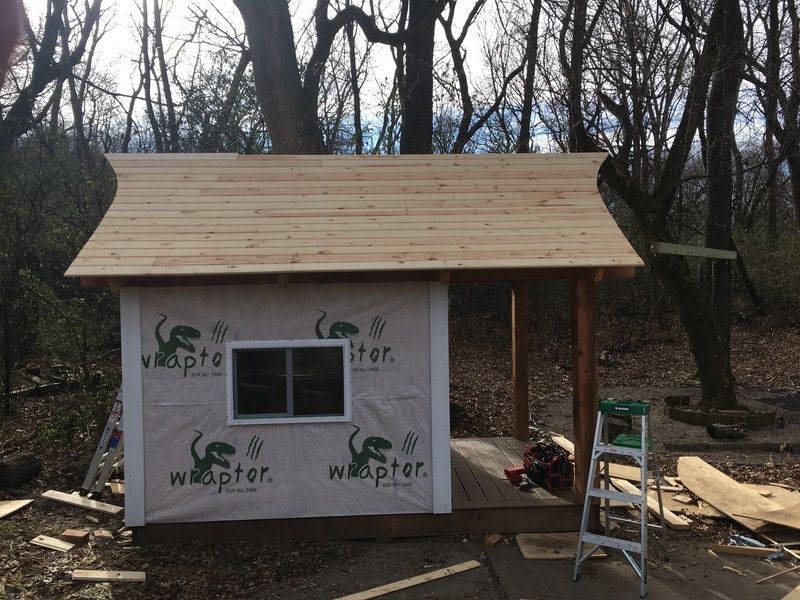 The exterior walls are finished with cedar lap siding on the bottom and cedar shingles on top.